We know that parents value education because they care about their children. They know that a good education means better opportunities for their children. They know that a good education should include a safe place to learn and grow. They want their child to have the very best. We value education for those same reasons! We want our campuses to be an extension of the home, where we teach the way you would teach – with care for each student. Some schools only focus on test scores and impersonal numbers. Others teach just enough to get their students the bare minimum. We recognize that the time spent in school during a student’s formative years should not be wasted. 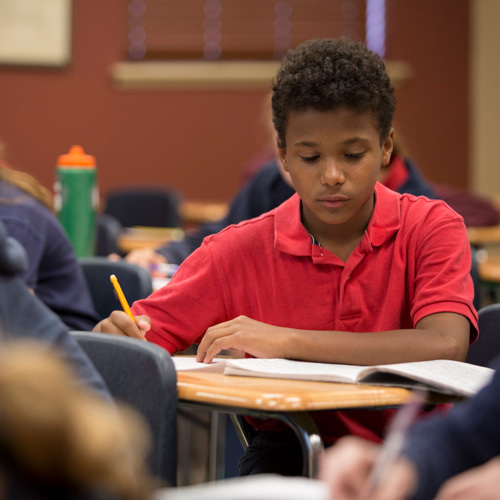 We focus on building complete students—students who learn how to be successful in every area of their lives. When a school and it’s curriculum focuses on the student rather than scores, we think great things happen. Scores will improve. Talents will shine. Character will govern. And our students will win. It’s important that our students be prepared for big things in their lives, and every day we work to ensure they learn everything they need to know. A lot goes into each day at Legacy, and our students leave campus knowing they did their very best. We’ve selected proven curriculum and programs designed to help each student. You’ll see that our experience and knowledge has lead to a comprehensive set of tools that is unmatched in the educational world. We utilize the Saxon Math curriculum for our K-8 classes. 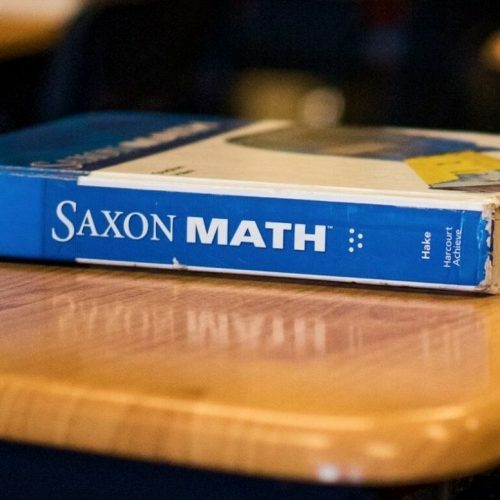 For over 30 years, Saxon Math has been delivering proven results for students. The curriculum uses an incremental structure that distributes content throughout the year. This integrated and connected approach provides deep, long-term mastery of the content and prepares students for continued success. At Legacy, we use the Spalding Language Arts curriculum. This is a time-tested program and educational philosophy that focuses on spelling, writing, reading, and even handwriting. The Spalding Method incorporates a combination of explicit, interactive, and diagnostic instruction in whole group followed by interventions and enhancements in small groups as needed. Our students have the opportunity to create foundations of health, athleticism, and confidence from an early age. 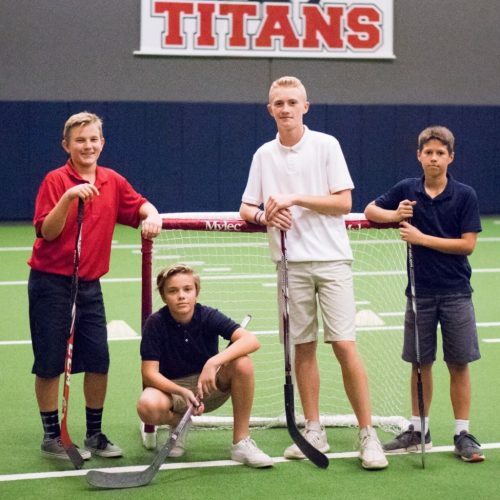 The Momentum Fitness Program is a comprehensive physical education curriculum we developed to enhance all aspects of a student’s healthy living. Your child will participate in 30-50 minutes of age-appropriate physical exercise four days a week, much more than most other schools. Music is one of the best ways for children to express themselves, and it provides an avenue for learning that just doesn’t exist in other disciplines. 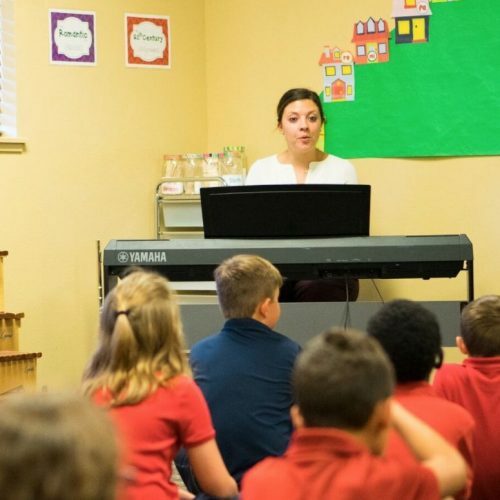 Our Mozart Performing Arts Program encourages students to expand their passion for music and performance with activities like our piano lab, performance groups, music theory, and more. 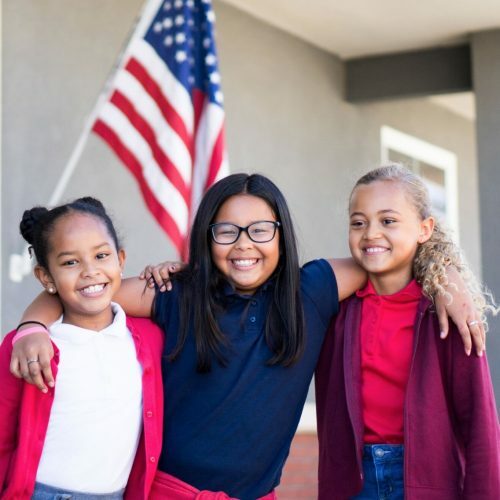 Our Standards of Citizenship curriculum is designed to help students develop a love for the United States of America and the communities in which they live. The lessons explore the responsibilities and privileges that come with being a U.S. citizen, as well as important lessons about kindness and caring.